Calvin Harris is not everyone's cup of tea. He has a musical formula (much like Avicii) that he employs in almost every song, which elicits essentially the exact same reaction. It is: the beat drop. You're going along, listening to a song, tapping your toes like, "yeah, this is a pretty jazzy tune," and things start to build. You feel a bit frantic. The sound builds then halts—then explodes. Over and over. I'll admit, that gets tiring. "Pray to God" is a song like that—I won't lie. And to be honest, I could really take or leave most of Calvin Harris' new album, Motion. Obviously, strong beats and techno elements abound, and he's collaborated with some great artist like Gwen Stefani and Ellie Goulding. 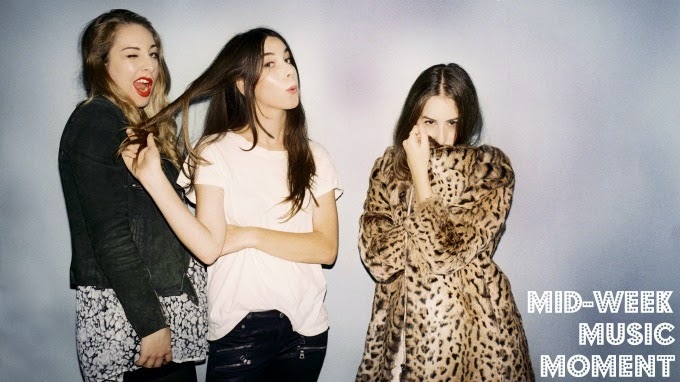 It's this track though, a collaboration with Haim, that gets me right to the core. Calvin's background sounds only help to amplify what Haim is already so good at, and what makes their own sound so awesome. It's an unexpected collaboration and a real treat for the ears. And yes, when the beat drops, you will probably want to throw your keyboard out the window and just shake your head around—imaging you have the long locks of those three sisters. It's okay.